Cleon's three modular pieces are designed to let you configure and reconfigure your own perfect seating solution. Stick with your favorite or switch it up. 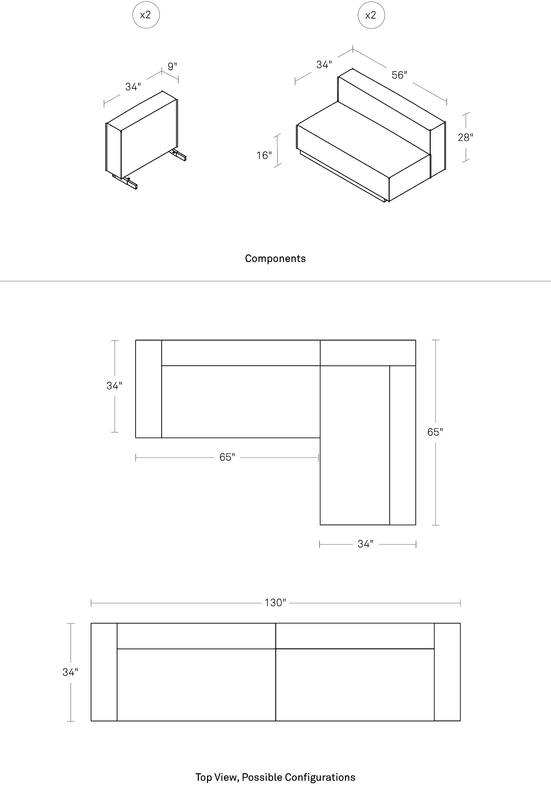 The components of this small sectional sofa can be connected to create multiple size and shape possibilities. Zig-zag stitching detail and gentle pleating at the seams round out the package.